The 2018 Kindle Paperwhite is the best Kindle you can buy, and now it's cheaper than ever. The Kindle has long been the go-to e-reader for bookworms, and each new version adds new features to enhance the reading experience. Today, you can grab the newest iteration of the Kindle Paperwhite for $100, down from a list price of $130 and the lowest we've seen it. This latest version boasts all the features readers have come to expect from the Paperwhite, including a glare-free, pixel-dense 300ppi display for easy reading in any lighting condition and a long battery life. But some new features up its convenience even more. 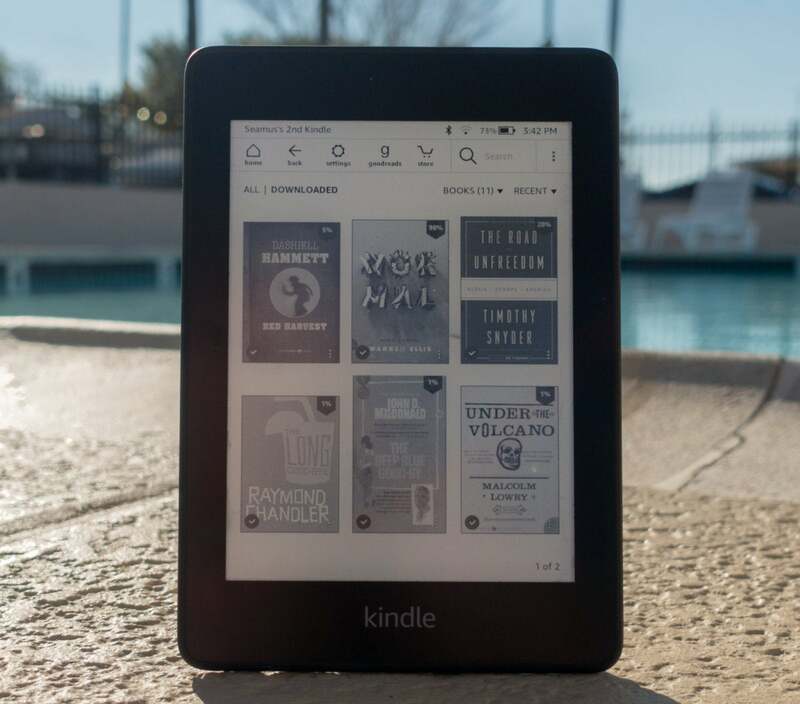 Amazon waterproofed the 2018 Kindle Paperwhite, so you can read in the bathtub or by the pool without fear now. It's also thinner and lighter than previous versions, and the on-sale offering packs in twice as much storage (8GB) as its predecessor. If you're a fan of listening to your books, you'll be able to use Audible with this e-reader, and pair the Paperwhite with Bluetooth headphones and speakers. We've called this our favorite waterproof Kindle and the best Kindle for most people. The 2018 Kindle Paperwhite earned 4.5 out of 5 stars and an Editors’ Choice award in our review, noting its sleek design, waterproofing, Bluetooth connectivity, sharp display, and wide content options as reasons to buy.